We have covered RAD Industries and Formula Drift Pro 1 driver Dan Burkett in the past. This weekend, The Drive was able to visit the crew in person to get a behind the scenes look inside the slide-happy, name-worthy shop. 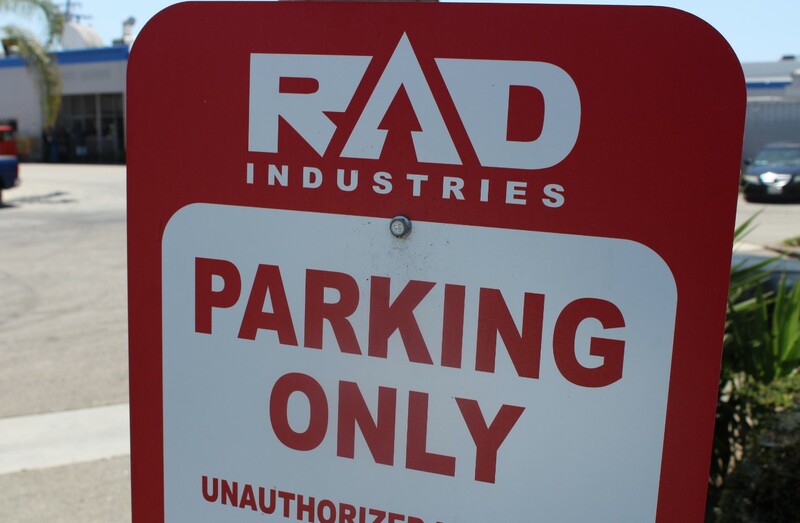 RAD Industries has been in business since 2014. The name of the shop is a play on the duo of owners, the husband and wife team of Renee and Dan Burkett—basically, R(enee) And D(an) Industries. Along with a steady influx of customer cars, the shop has played temporary home to many race teams including Burkett's own. 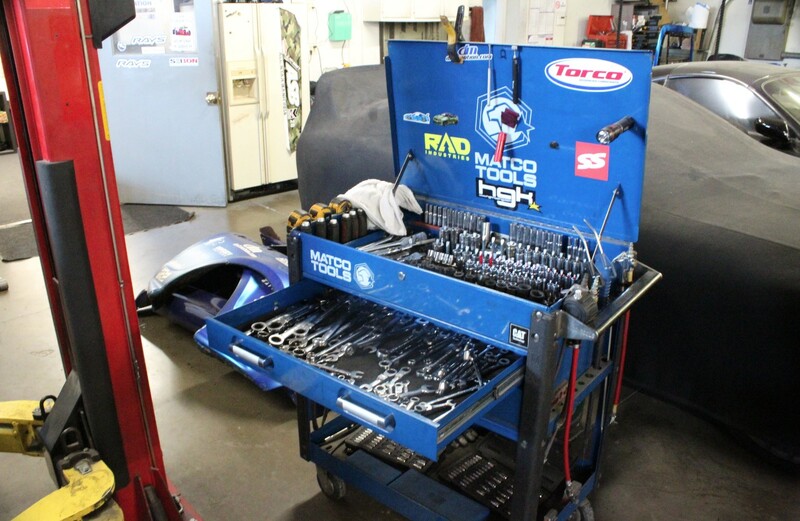 Before having his own facility to store his cars, Formula Drift driver Chris Forsberg had his personal projects and drift machines maintained at RAD. Burkett's garage also previously housed the Latvian HGK Racing Team and Formula Drift driver Kristaps Bluss to prep for the season-opening Long Beach FD event as well as the season-ending Irwindale battle. At the time of The Drive's visit, Burkett and RAD Industries were hot off the fourth round of the 2018 Formula Drift season at Wall Speedway in New Jersey. At Wall, Burkett made the Top 32 but had an accident during his lead run with friend Chris Forsberg. The rear of Burkett's Supra caught the wall, putting an end to the crew's action for the weekend. 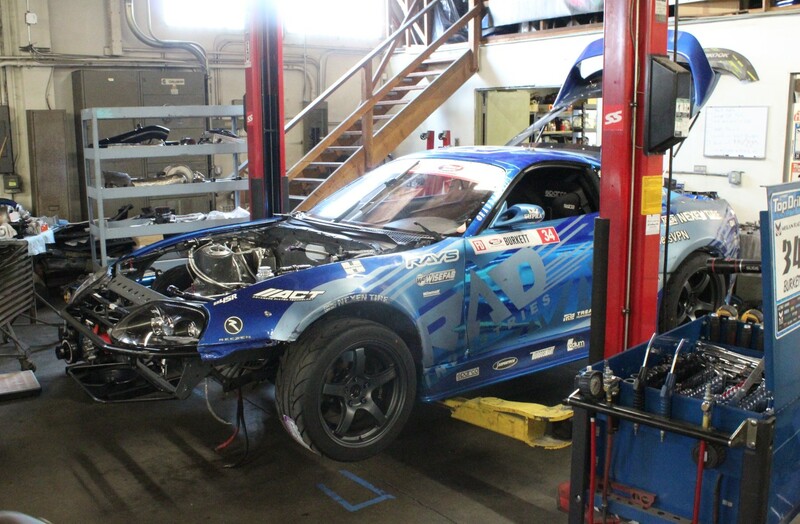 While we were busy snooping around RAD Industries, Burkett and his team were getting ready for the next round of the eight-event FD campaign. The 2JZ engine was out of his purpose-built Toyota Supra and the rear was not looking as bad as it did from the FDNJ damage. Burkett showed us the details and specifics of the drift-lovers-delight while we were out there. 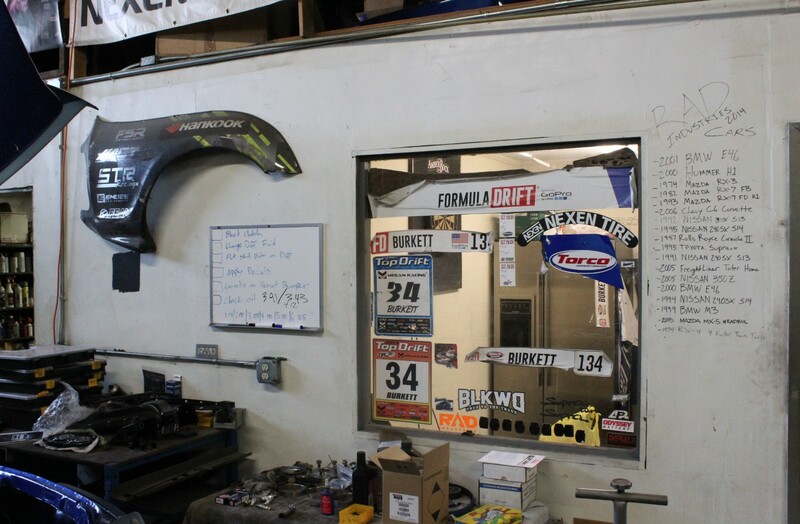 Leaving the front office area, you move directly onto the shop-floor which is filled with 14 cars ranging from customer cars, Burkett's personal pride-and-joys, and of course, the aforementioned Supra. 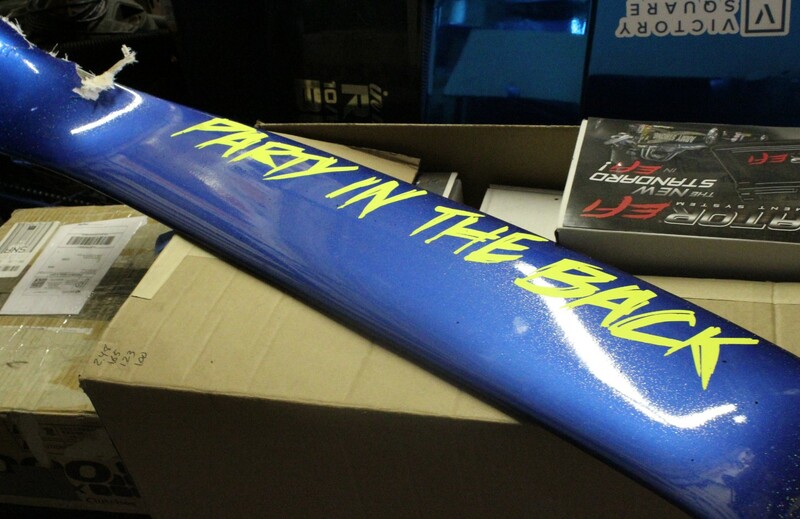 Behind the FD eye-candy, you can find the intangibles of RAD. 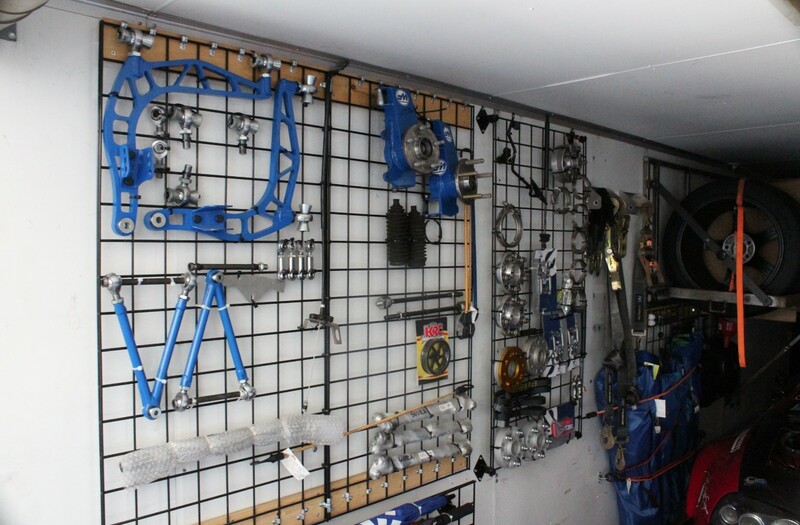 This not only includes space to house parts and fluids but also customer engine builds among a whole slew of custom-built go-fast bits. Burkett told us that every engine and car gets a detailed logbook of the work that has been done to it. In every case, a well-organized system helps to complete tasks quickly and efficiently, which is certainly a help when you're dealing with competition-grade machines. Burkett is always quick to lend a hand to his team and is hands-on for every part of his race car. During our tour, he quickly jumped to help one of his teammates working on an engine. 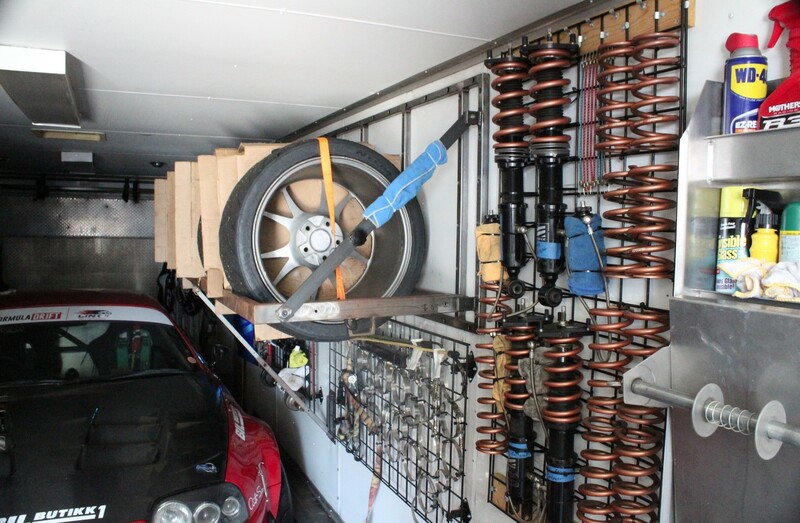 Stepping outside, RAD Industries has a gated area that serves as the current home to Burkett's race trailer which is essentially always jam-packed with the necessary gear for a Formula Drift event. We saw the Supra making strides towards being race ready for Round 5 in Washington, but still featured the scars of going to war at Wall. Follow Burkett and RAD Industries on YouTube to get more details on his car throughout the season. RAD puts out several videos per event weekend as well as quick clips in between and in the offseason. Check out the most recent content from Burkett & Co. that highlight's the team's experience at Round 4 of Formula Drift at Wall New Jersey below. After our visit to the shop, Burkett’s passion for not only his Formula Drift race program, but working on cars in general, was evident. 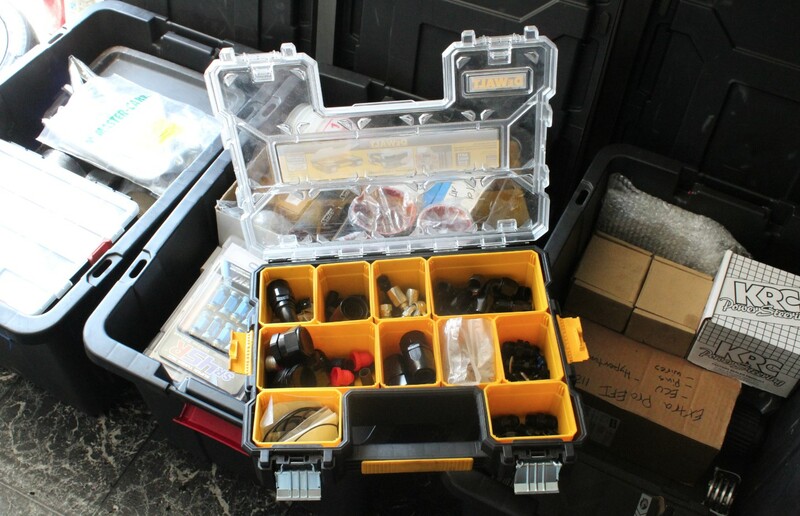 The meticulous attention that he and his team paid to the customer cars in his shop he personally works on and he knows every detail of what they are trying to achieve. 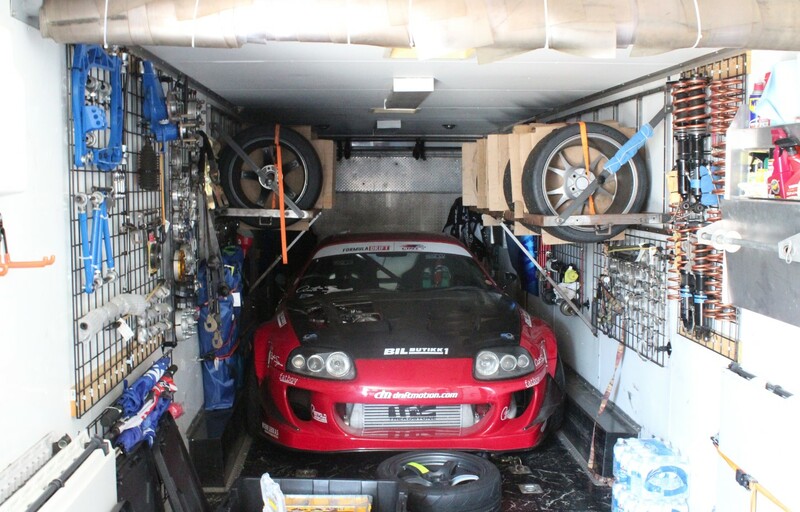 His shop is an ode to the progression of his Supra race car. Old body panels an broken pieces line walls and the floor around the shop as monuments. As Burkett told us "I give away most of the broken pieces to the fans at events, but I am a fan like everyone else." The pieces that make it back to RAD Industries show RAD and Burkett put everything on the line at FD events. You can catch Burkett, his Supra, and RAD Industries next at the fifth round of the 2018 Formula Drift season in Monroe, Washington July 20-21. The path to the championship is starting to show.